In 1985, Absolute Body Control joined forces with Marc Verhaeghen’s band The Klinik and Sandy Nys’ The Maniacs to form the “supergroup” Absolute Controlled Clinical Maniacs. The name was soon shortened to The Klinik; Nys left in 1986 and van Wonterghem in 1987 to work on their own bands, while Ivens remained a member until 1991, when he left to concentrate on his solo project Dive which had numerous releases the following 15 years. Also in 1996, Dirk started Sonar together with Patrick Stevens, who left in 1998 to be replaced by long-time collaborator (and brother-in-law) Eric van Wonterghem. 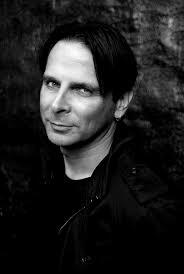 In 2003-2005 he rejoined Marc Verhaeghen in The Klinik for a few festival concerts, without releasing any new material. Ivens has also guest starred as a vocalist on songs by Monolith, Suicide Commando, and Nebula H (among others), remixed other artists, and runs the record labels Body Records and Daft Records. Dirk Ivens considered to be one of the founders of the power noise genre.